See the 27 job openings at Cloud Imperium. BioWare‘s vision is to create, deliver, and evolve the most emotionally engaging games in the world. BioWare develops high-quality console, PC, and online role-playing games focused on rich stories, unforgettable characters, and vast worlds to discover. Since 1995, BioWare has created some of the world’s most critically acclaimed titles, including Baldur’s Gate™, Neverwinter Nights™, Star Wars ™: Knights of the Old Republic™, Jade Empire™, Mass Effect™, and Dragon Age™. BioWare operates in Edmonton (Alberta, Canada), Montreal (Quebec, Canada), and Austin (Texas, United States). In 2008, BioWare was acquired by Electronic Arts, a leading global interactive entertainment publisher. See the 8 job openings at BioWare. The creative team that brought the Mortal Kombat franchise to life is now NetherRealm Studios, part of the Warner Bros. Interactive Entertainment family. With over 20 years of creation under their belts, NetherRealm’s mission remains the same; to create cutting edge entertainment and deliver industry leading tech, game art and overall gaming experiences. NetherRealm Studios is a collaborative and creative environment, constantly striving to up the ante on what is possible in interactive entertainment. They encompass the best of both worlds – a team of dedicated professionals with years of experience, who are also at the forefront of an industry taking over the entertainment landscape. The passion and energy that made Mortal Kombat a reality is still on display every day in their offices, their hallways and most definitely the studio’s arcade room! See the 3 job openings at NetherRealm. Riot Games was established in 2006 by entrepreneurial gamers who believe that player-focused game development can result inawesome games. In 2009, Riot released its debut title League of Legends to critical and player acclaim. Over 67 million play every month. They know players form the foundation of their community and it’s for them that Riot continues to evolve and improve the League of Legends experience. Headquartered just a couple miles from the beach in Santa Monica, California, Riot nabbed third place on Great Place to Work’s 2013 Best Medium Workplaces list. They also ranked fourth place in the “25 Best Companies to Work for in Technology” list, an accolade based on Glassdoor reviews of Riot by Rioters. 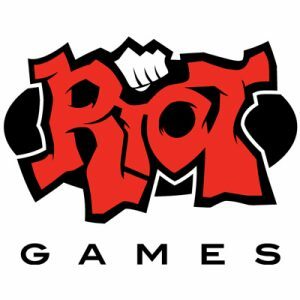 See the 18 job openings at Riot Games. See the 6 job openings at Sumo Digital.